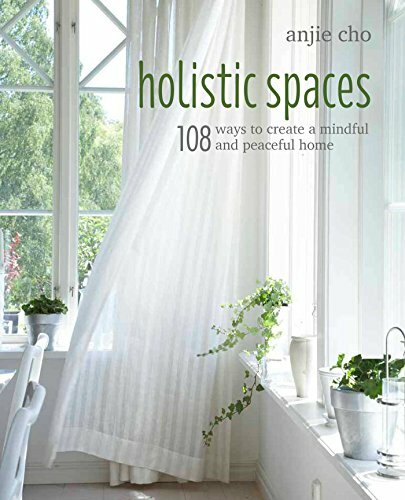 Our goal at Holistic Spaces is to help you create a nurturing home where you feel safe, nourished and uplifted. This can include anything from the way you choose to design your space to the type of artwork you hang to the materials of your furniture, bedding, rugs, etc. This last aspect of creating an ideal home can be incredibly important if allergies are a concern for you. Fortunately, you don't have to forego beautiful rugs to avoid the sniffles! If carpeting is a problem for you because of allergies (or even if you live in New York City, where carpeting is rare), rest easy in the knowledge that washable rugs and hardwood floors are actually much better, health-wise! It's easy to understand with hardwood floors; they're easier to clean and contain no fibers to trap icky dust mites and the like. Hardwood is notoriously not so great on cold feet, though, so don't kiss rugs goodbye! If you choose washable rugs and pay close attention to the material, it is absolutely possible for gorgeous rugs and allergies to co-exist. First things first, opt for low-pile rugs. While lush, thick carpeting is comforting during the cold winter, it offers many more places for mites and allergens to hide out, which is no good for those of us who are sensitive. In choosing shorter threads and less plush materials, we can add rugs to our space and still breathe easy. In the same vein, check out natural material options, for a variety of reasons. Many natural materials, like jute, contain organic substances like tannin that repel some of the gross creatures that make us sneeze and tear up. In addition, there are a variety of companies who produce jute and other organic rugs that contribute directly to Fair Trade practices and serve to help others in developing countries and save on your pharmacy bill. Finally, no matter what type of rug you choose, make sure to clean it regularly! This should go without saying, since part of having a holistic space is having a clean space, but especially in the case of allergens, it's important not to skip the rugs. Vacuum rugs regularly with a HEPA filter to ensure you're picking up everything you can, and be sure to take them out for a good shake from time to time! If you've read any of our rug posts and wished you could add rugs to your holistic space, this is the way to go! By taking care to pay attention to materials and styles and keeping your space clean, we're confident you can bring rugs into your space without buying an extra box of tissues. If you decide to go for it, let us know!